Do you love to enjoy the freedom of riding a motorcycle? It is a great experience to feel the wind on your face. However, that freedom can be taken away in just a couple of moments if you are involved in a motorcycle accident. As compared to other types of auto accidents, motorcycle accidents have a much higher risk of being fatal. It is essential to understand the risks associated with a motorcycle accident. You can reduce the risks by using safety gear. Further, defensive driving lessons will help decrease the risk of road disasters. However, when it comes to motorcycles, no matter how safely you drive your vehicle, you are always at risk of being killed or injured due to other motorists on the road. Motorcycle riders enjoy the freedom which comes with their selected form of transportation; however, motorists are also left exposed to risks. It is essential that motorcycle riders know their legal rights and solutions in case they are involved in a road disaster. Insurance laws may vary depending on the state. Further, they can be very different with respect to automobiles. Therefore, it is very essential to seek an expert attorney’s assistance in determining the laws in your state. Similar to most car accident cases, motorcycle accident claims are almost always governed by the legal concept of negligence. An attorney can help you learn more about the laws associated with personal injury and negligence. In case you or your loved ones have been involved in or injured in a motorcycle accident, it is essential to seek the assistance of an expert. When it comes to tragic consequences, consulting a skilled and experienced attorney to protect your legal rights is the most important step. The different issues in your claim such as motor vehicle regulations, compliance with traffic laws, liability determinations and medical treatment issues, all need the proficiency of an attorney. Experts can handle the situation successfully with their knowledge and experience. In light of legal deadlines for filing injury claims, it is always recommended to consult an attorney who is experienced in the area of motorcycle accident liability. With their expertise, Jonathan and his associates will evaluate your case and help you tackle the consequences. Remember that if you are involved in a motorcycle accident, stay at the accident scene. If you leave the scene, it can result in a charge of leaving the accident scene or hit and run. This can make the situation worse. Further, leaving the scene indicates that you are permitting the account of the other driver involved in the accident to be the basis for the police report. In simple words, the other driver involved in the accident may blame you for the accident. Besides this, check for injuries and call the police immediately. It is important to file a report instantaneously after accident. This official documentation will help you a lot. Look for medical attention even if you feel fine. Not seeking immediate medical attention may affect your ability to receive fair compensation for your injuries. 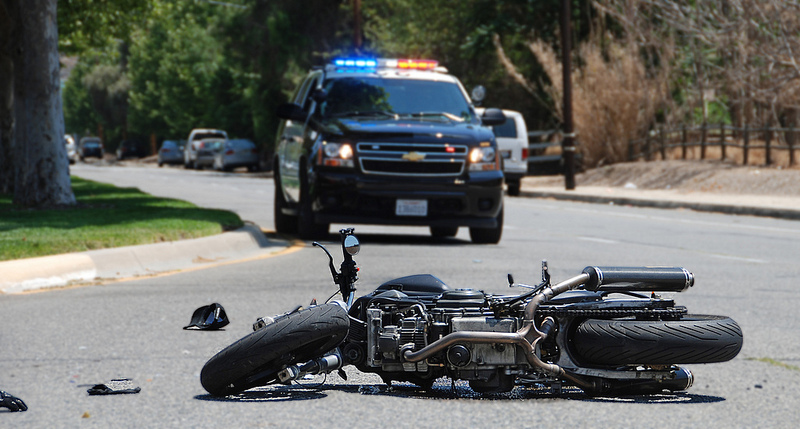 Motorcycle accident claims can be intricate and complicated to interpret. A skilled and experienced motorcycle accident attorney can help you learn more about your rights, and will work hard to fight for fair compensation.